Amateur radio in Martinique, Photo album and links. TARA is the Troy Amateur Radio Association (N2TY) of Troy, New York. We sponsor the Annual TARA RTTY Sprint and we sponsored the worlds 1st PSK Rumble! Special purpose amateur radio club devoted to the pursuit of operating and technical excellence. This site serves as a library of amateur radio contest and DX information. The club was formed at a meeting of a group of hams on a May 1989 afternoon at Jake's Truck Stop in Bend. K8GP web site, home of the Grid Pirates Contest Group. An Indianapolis club specializing in working contests, both CW and SSB, chasing worldwide DX, and supporting DXpeditions. Please drop by one of our meetings and join the fun! Big Dog Contest Club, K9HO - The Big Dog contest club is a group of amateur radio enthusiasts who enjoy the fine arts of radio contesting and consuming fine foods but not necessarily in that order! Contest Club Ontario - Contest Club Ontario (CCO) is Ontario's entry into International Club competitions in the 21st Century, providing one vehicle to highlight Canadian participation in these contests. 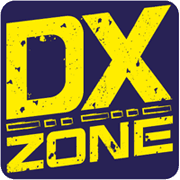 Hoosier DX and Contest Club - An Indianapolis club specializing in working contests, both CW and SSB, chasing worldwide DX, and supporting DXpeditions. Please drop by one of our meetings and join the fun! Invicta Contest Group M5IC - Invicta Contest Group, Based in Kent, england, Mainly large VHF Contests. N7LE Central Oregon DX Club - The club was formed at a meeting of a group of hams on a May 1989 afternoon at Jake's Truck Stop in Bend. OZ7CQ - The CQ Contest & DX Group, main activities is - participating in contests. Mainly in the Nordic Activity Contest at the 50 MHz, 144 MHz and 432 MHz, though the group holds a full licence, have we not participated in a HF contest yet. Swamp Fox Contest Group - We are a group of ham radio operators located in South Carolina. The main object of this group is focused on radiosport, which includes contesting, fellowship, and technical support. Tennessee Contest Group - The Tennessee Contest Group (a.k.a. TCG) is a group of Amateur Radio operators (hams) who enjoy operating in competitive radio sporting events or contests. The Great Lakes DX / Contest Club - The Great Lakes DX / Contest Club is located in the central part of Michigan near the city of Lansing which is the state capitol. The club's main purpose is to support and encourage the DX aspect of the amateur radio hobby. TOEC - TOEC was founded in 1991 by a bunch of contesters in Northern Sweden. The purpose of TOEC is to support contest related activities in as many ways as possible. VA3SK - Corbeil Contest Club - Located near North Bay Ontario (FN06) about 300KM north of Toronto, the CCC is built on the property of VA3RTW (Bob Williams). 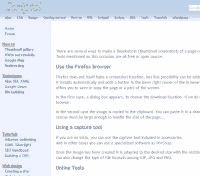 VP5X Contest Group - VP5X contest group website. VP5X is licensed to KY1V for contest operation from the Turks & Caicos Islands. Search only in "Contest Clubs"